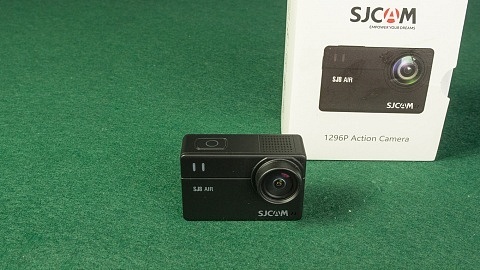 The first YI Action Camera was released in Spring 2015. 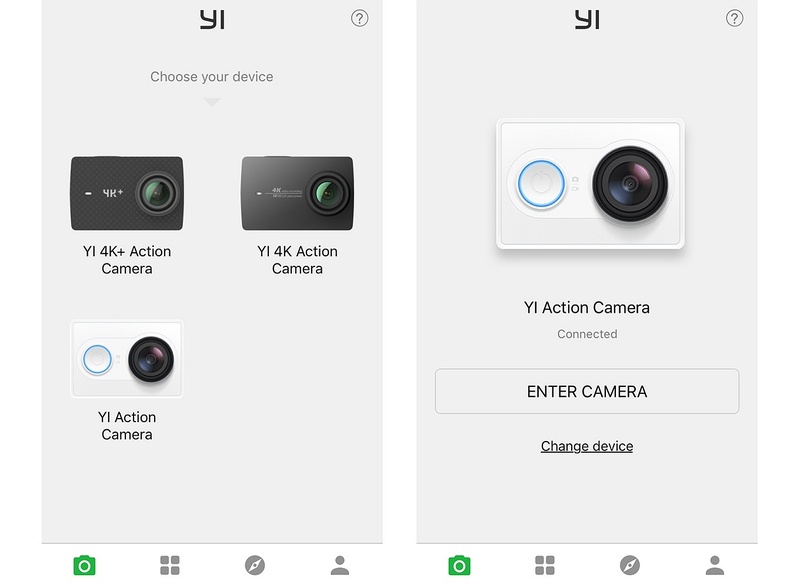 All over the web the name “Xiaomi YI Camera” was used. Although Xiaomi was their distribution partner in China, the company is called Xiaoyi, and for international marketing named YI Technology. 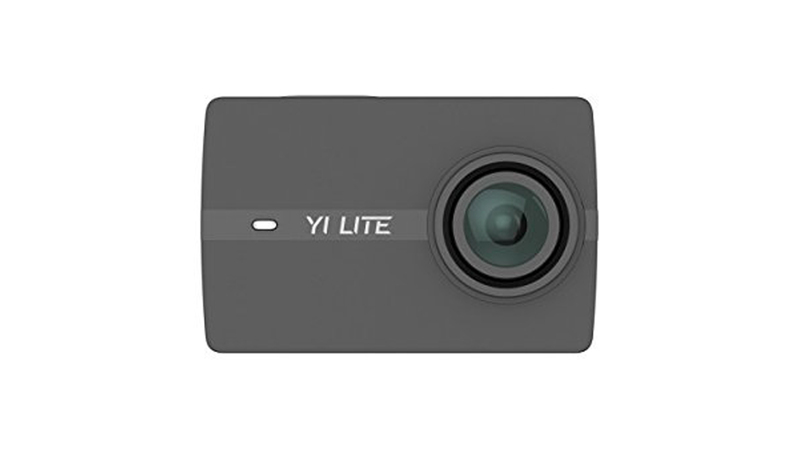 On 3rd of Dec. 2015 YI released an International Version of the camera. The first models were released for the Chinese market so the international version saw some changes which I will explain in this article. 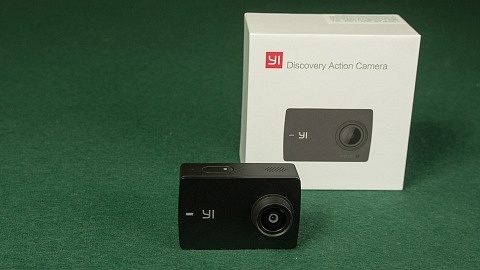 Since then several other cameras were released by YI, not only Action Cameras, also a Dashboard Camera and a Mirrorless Camera. 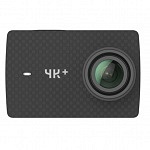 Back to Action Cameras: In May 2016 the new YI 4K Action Camera was released, the first camera by YI to feature touch screen & 4K resolution. 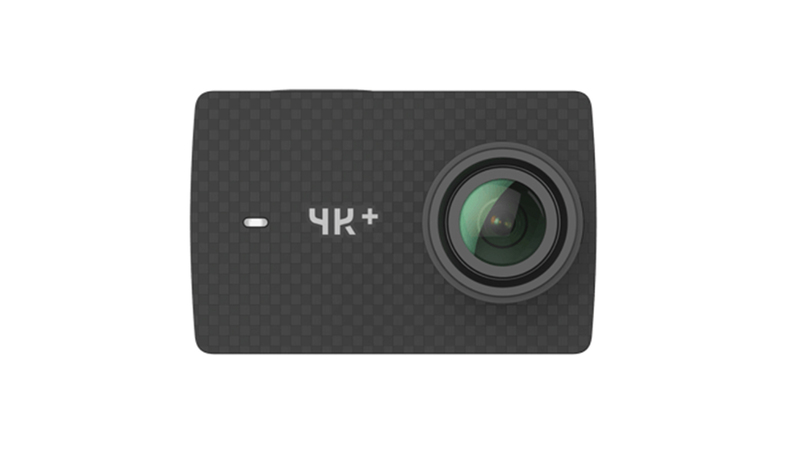 In January 2017 the product line was extended by YI 4K+ Action Camera, the first action cam to offer 60fps in 4K resolution and electronic image stabilization in 4K at 30 fps. 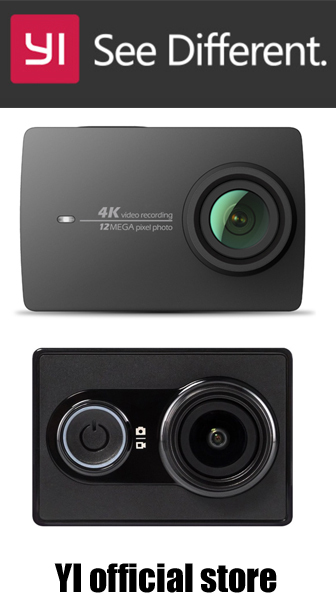 * It seems weird that the first & oldest YI camera got the largest sensor (16MP compared to 12MP), but the IMX 206 being used is not capable of 4K resolution. It benefits the photo capabilities tough. 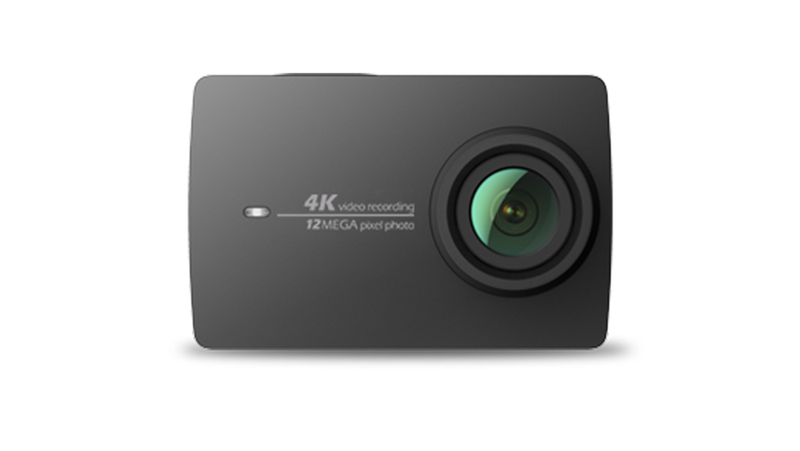 ** I currently don’t know if A/V out via USB-C is possible/available for YI 4K+. 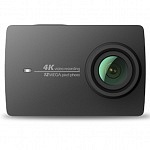 *** Voice control being upgraded via firmware on YI 4K Action Camera. Batteries from both versions are compatible! Don’t worry the Sony battery has less capacity, it actually lasts longer! 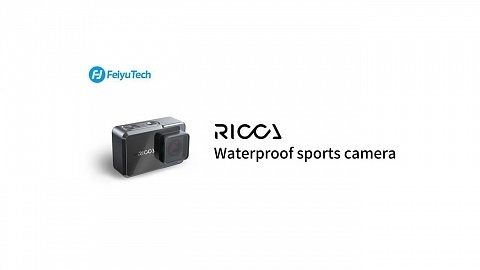 The notch on the bottom of the camera is gone with the international version of the YI action camera. I think that’s a pity, I really like it as it gives more stability when mounting the camera. Or at least I was hoping for more accessories using this notch. and also the Ambarella A7 chipset. 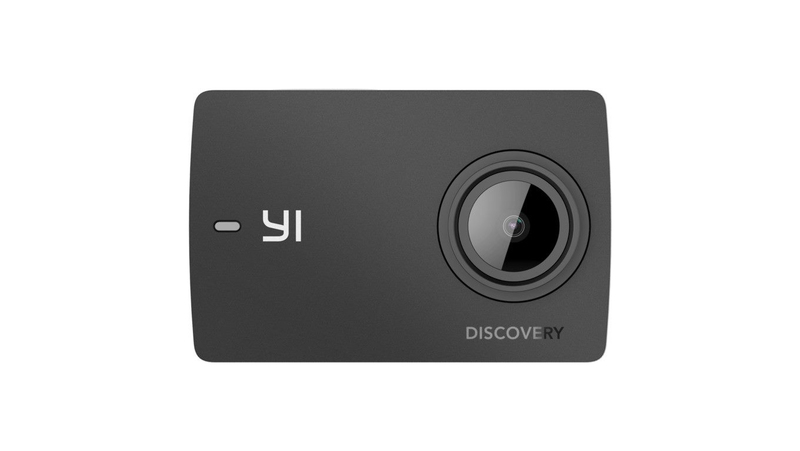 Yi Action Camera doesn’t have a LCD display. 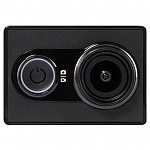 Although there is a 3rd party accessory LCD which is made for Xiaomi Yi. 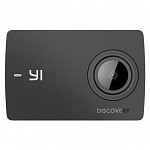 Yi camera supports up to 128GB microSD cards (min. 16GB), class 10 recommended. A microSD card is not included in both versions. microHDMI port for HD video output. They are located on the top, backside and bottom of the camera. When you are in photo mode the LEDs are off and flash once you take a picture. When you switch to video mode they are on permanently and start flashing while recording. 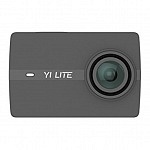 So you can operate YI Action Camera without using a phone. On the side of the camera, there is the button and LED light for wifi connection. 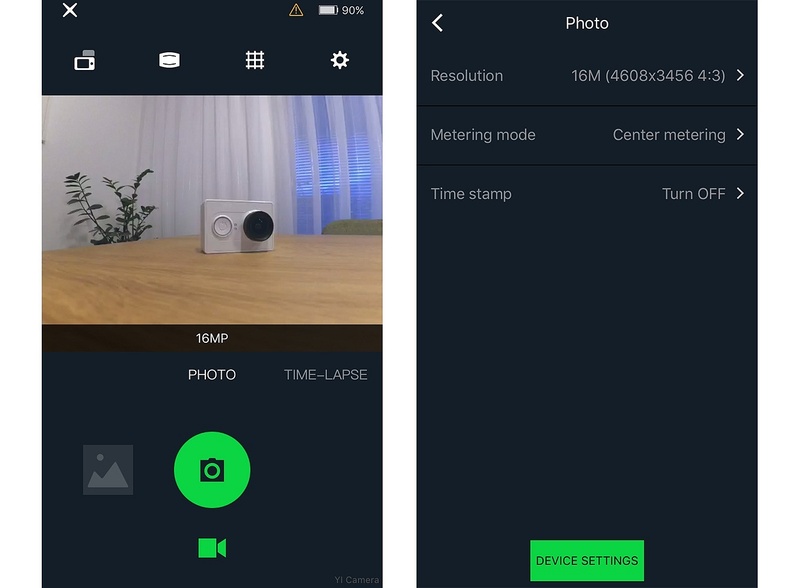 You can connect your phone via wifi where all other settings are controlled via YI Action App (available for iOS and Android). That’s all of the settings, I hope this article covers all the info you were looking for. If not, please leave a comment below, so I can improve. 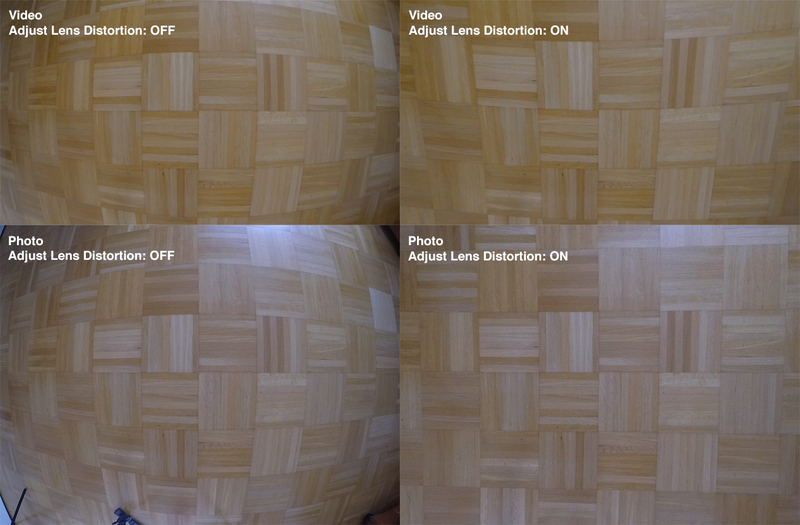 Great image quality due to superb specs: 16 MP Sony Sensor and Ambarella A7 chipset. Good price for the specs you get. Well working app which is constantly improved. No LCD screen (if you need one). Third party screen backpack is available. 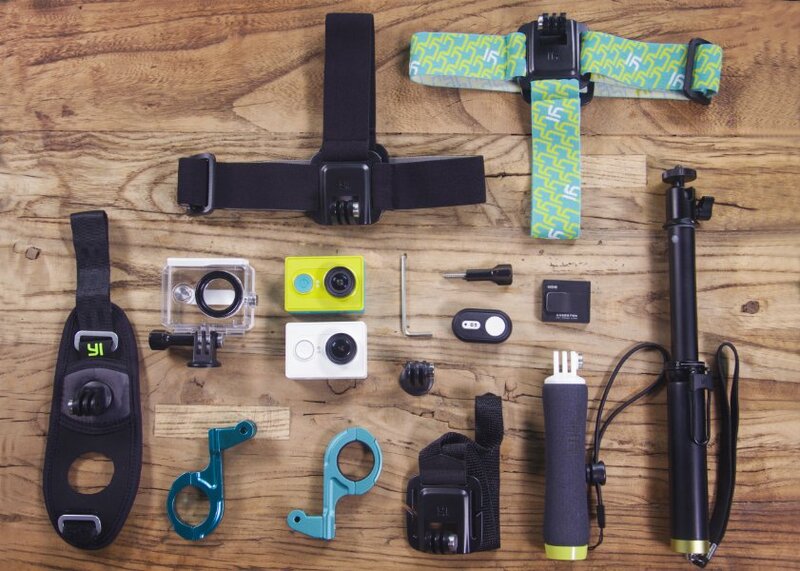 Accessories and mounts are not included, so if this is your first action cam you need to invest in some accessories. External mic can’t be used and the internal sound is not that great. GoPro has superior quality. I think GitUp Git2 might be the closest competitor. 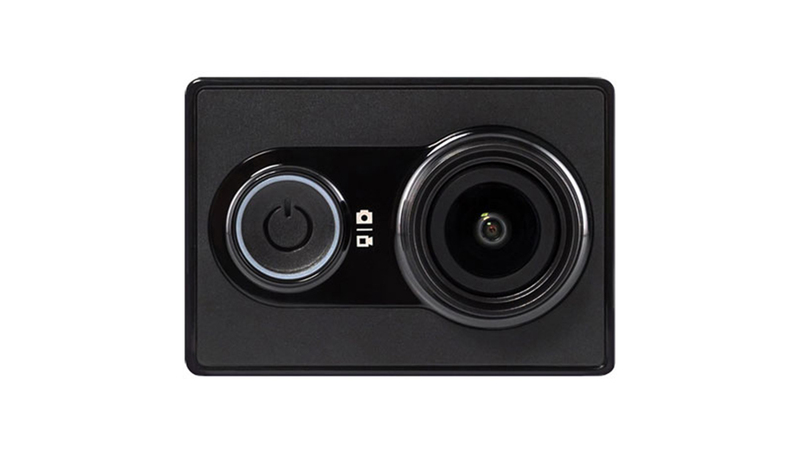 It offers the same sensor as YI camera, but in contrast has a 1,5″ live view screen and supports mic input. On the downside the app is not as good as YI action app and it is a bit more expensive. Here’s my Review of Git2 Action Camera.